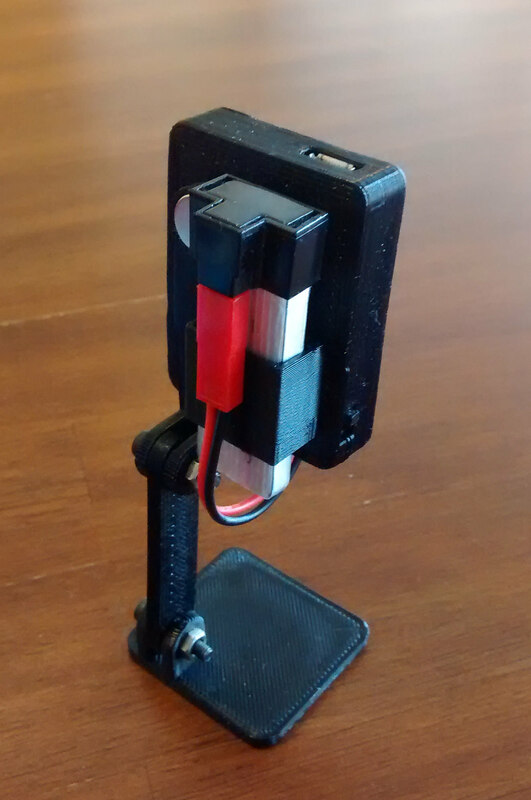 Adafruit offers a tutorial with model files for a camera case but I wanted to design my own. 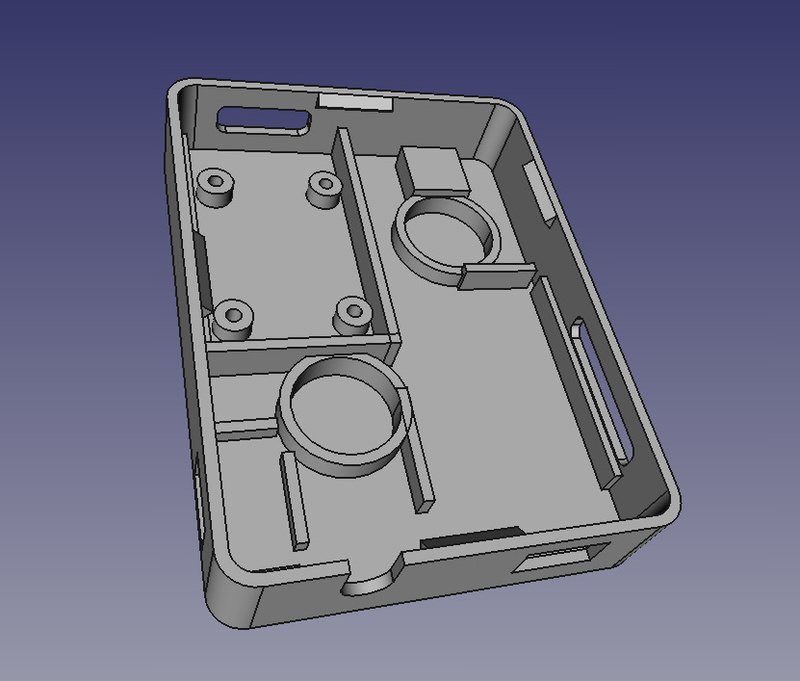 Designing enclosures for electronic projects is much harder than I expected. I wanted something compact where the camera would sit one on top of the Trinket. My first try was a failure. 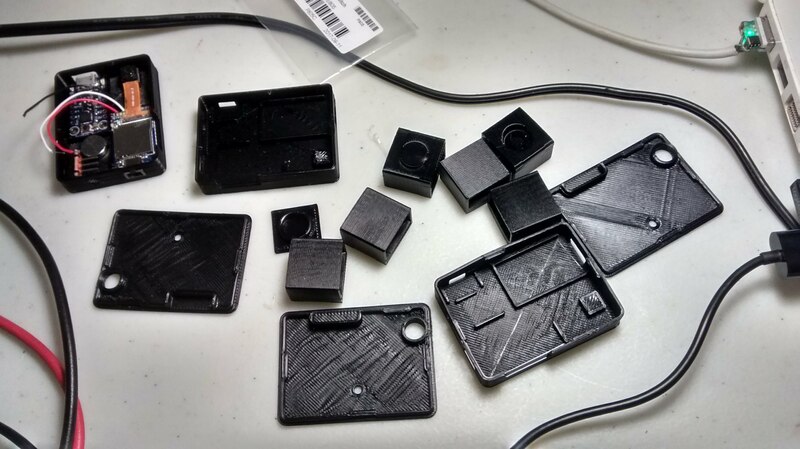 Not only was my design junk but my printing skills were not up to the task. I use PLA and all my prints have some degree of warpage making things even more difficult. I’ve never used a heated bed so I can’t tell if this would help. 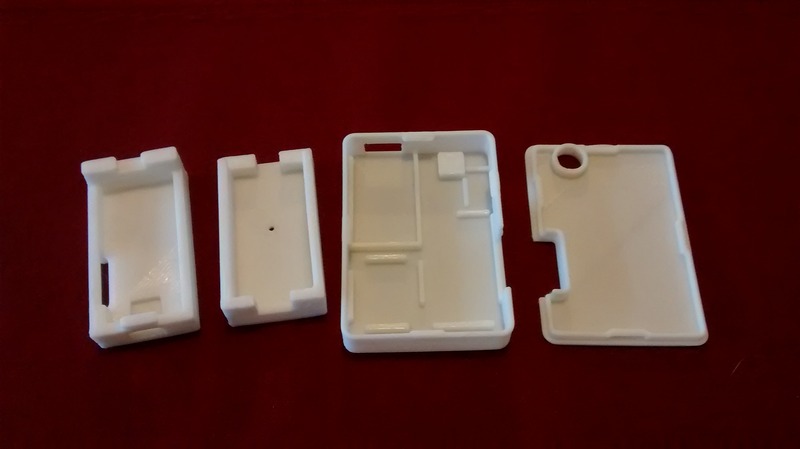 Humbled, I went back to the case design offered by Adafruit. I should have started there. It’s often easier to build on something existing rather than to start from scratch I should know this by now. Here are both cases, mine on the left. The Adafruit case is much thinner and those wedges to keep the lid on are nice. I planned to hot glue mine together. 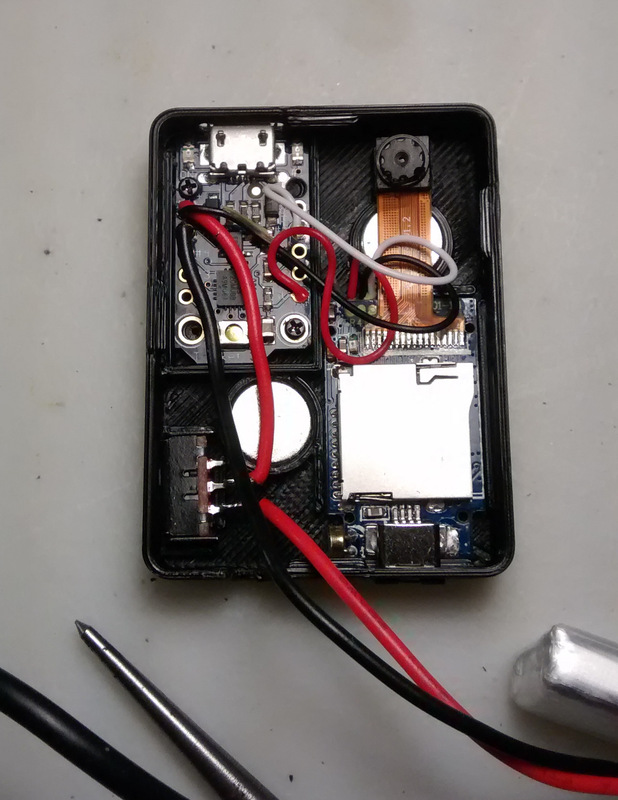 There are a couple of issues that made me modify the Adafruit camera case. My camera sits a bit farther from the edge and wasn’t aligned with the pad in the bottom case and the hole in the lid. I also don’t have the same batteries as in the tutorial. So I needed a hole for the wires, another one for the camera usb jack, etc. 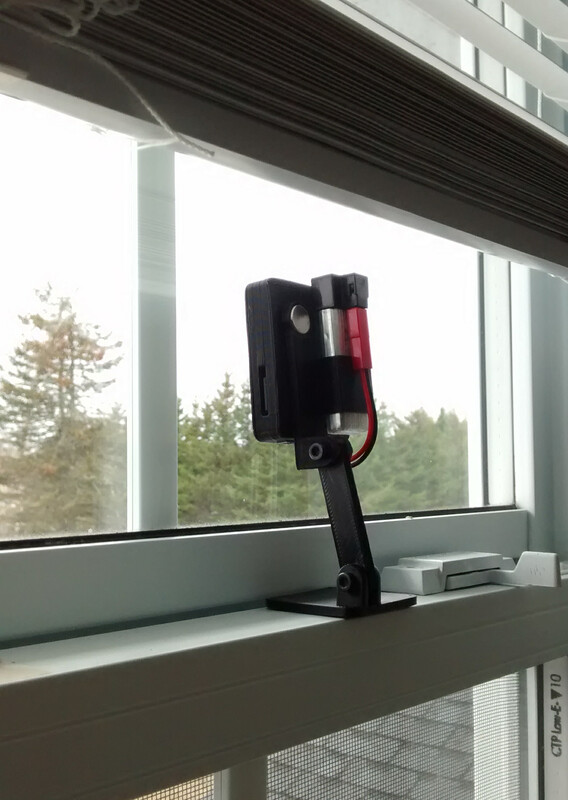 I also added sockets for magnets, handy to mount the camera on something. I made a version that uses M3 hardware but this idea turned out to be overkill. The magnet version is more flexible. I went through several iterations before being satisfied. I learned a lot during the process. 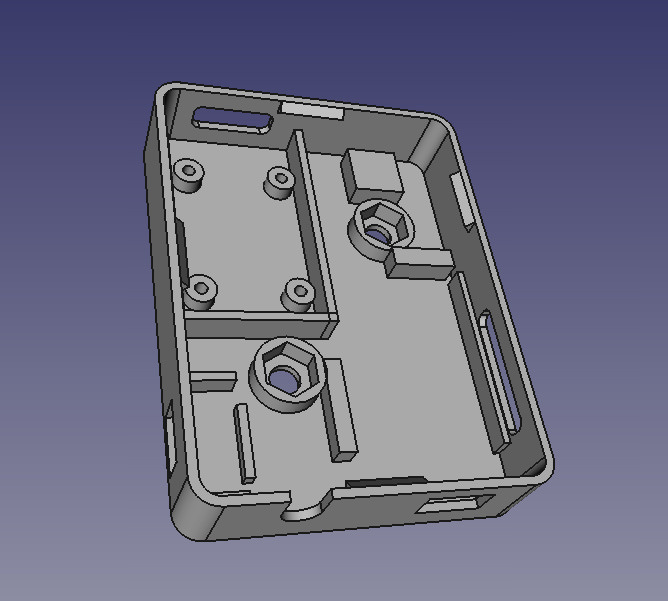 Making models using FreeCAD deserves a whole post, I should do one soon before I forget too much. Reducing waste while printing was another important lesson. Plastic should never be wasted. 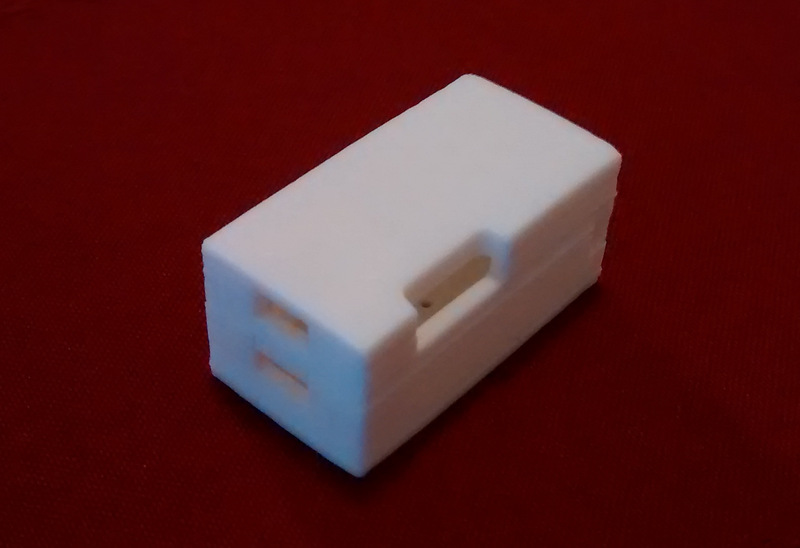 I also learned about the capabilities of my printer and how it could be used to hold circuitry. I won’t hide my sins. So this is the final version and for now it suits my needs. In this picture the camera is powered from the Trinket’s 3V pin. This won’t work with the other cameras (the non v1.4 ones). They need to be powered directly from the battery. The camera trigger is connected to Trinket pin #0. The leads soldered to the Trinket have to be kept short or the board won’t sit proper in the case. It’s amazing how easy it is to make stuff today, it seems you can find everything online. 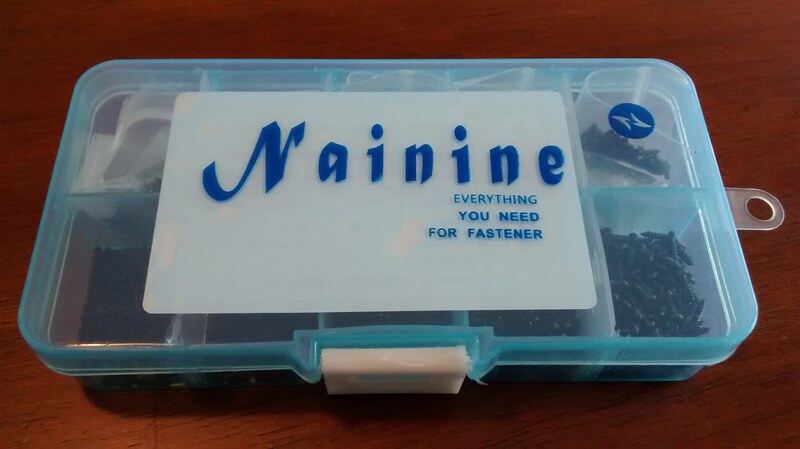 This is a kit of tiny screws I bought from Aliexpress for a couple of dollars, very handy! 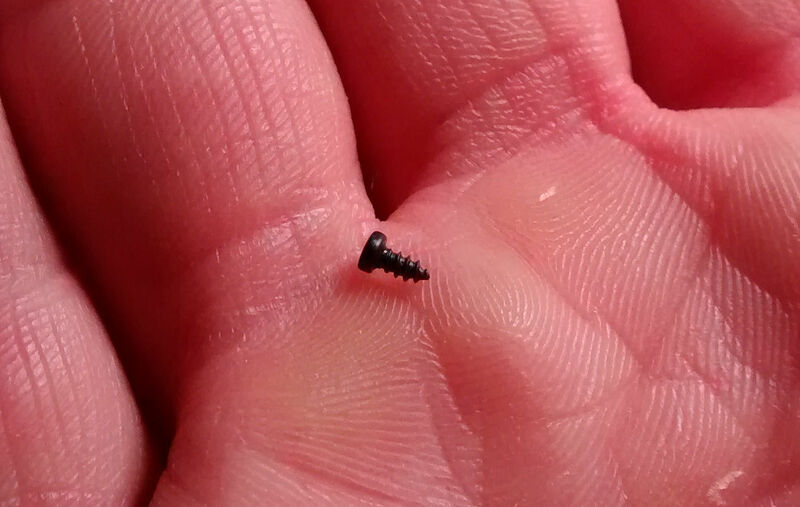 This is a M1.4×3 philips screw. I used those to fasten the Trinket. I wish I had all this when I was a kid. 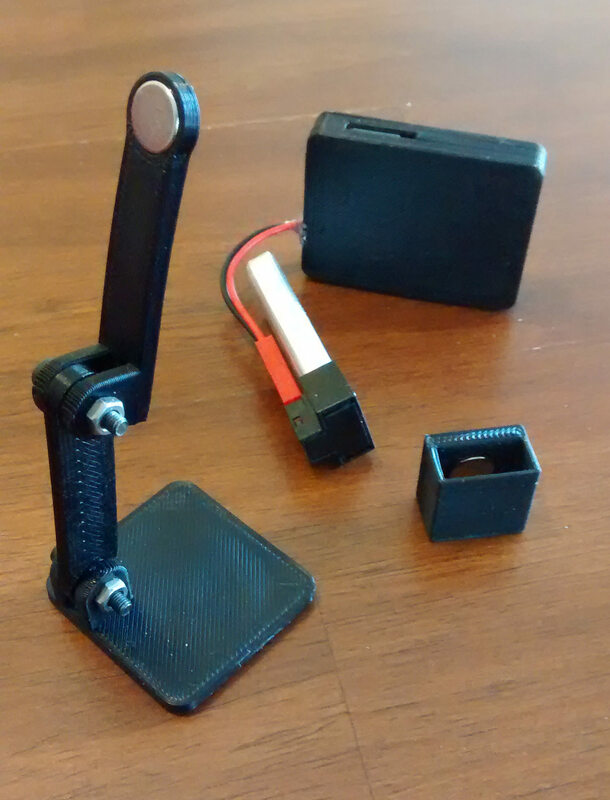 I made a simple monopod for the camera, it uses M3 hardware and takes only a couple of minutes on the printer. The foot is small but it’s easy to keep the camera centered inside it making the whole thing stable. Everything just snaps in place thanks to the magnets. Now Pazu will have his first memories outside of the lab. I’m all teary! Welcome to the world, Pazu.